I featured this whimsical Pocket Card in my newsletter today. It features Stampin’ Up’s Friends & Flowers Stamp Set. It is a fun fold card that doubles as a gift card holder. This is what the insides looks like. If you would like the tutorial for this card, please subscribe to my weekly newsletter on the right hand side of my blog. The theme this week for the Global Design Project is BALLOONS!! When I think of balloons, I smile. A celebration is not a celebration without balloons. For this challenge I decided to do a fun fold as well. The card base is cut at 5-1/2 x 6-7/8 and scored at 4-1/4 on the long side. The colors I used are Wisteria Wonder and Silver Foil. The balloons and sentiment are stamped in VersaMark and heat embossed with Silver Embossing Powder. MY PROJECT SUPPLY LIST, CLICK ON THE PRODUCTS TO ORDER ONLINE!! 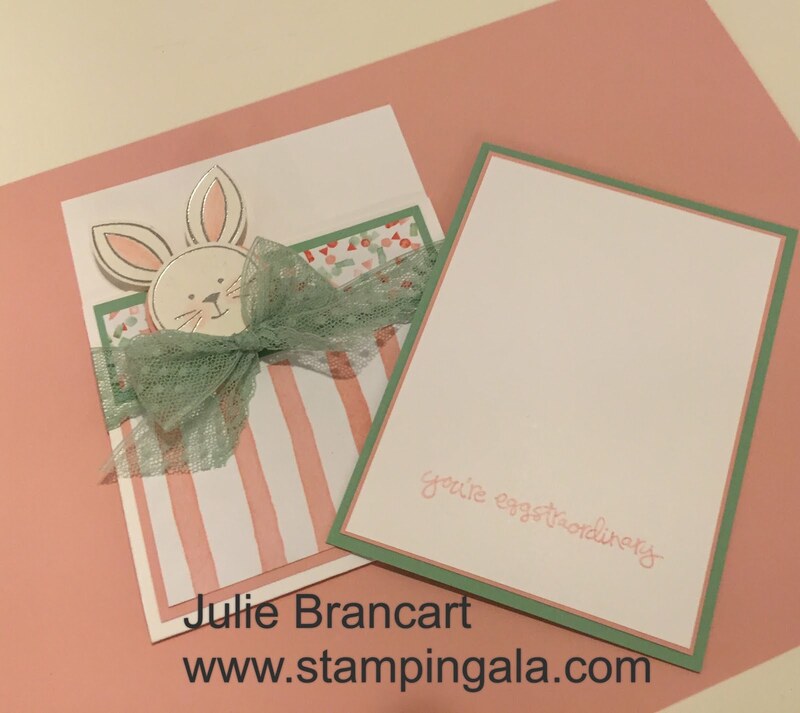 TO ORDER STAMPIN UP PRODUCTS CLICK HERE.